If you think you have seen enough about Haitian behaviors, you have not. What you are looking at is what the Haitian government calls Haiti Reception centers for Returnees from Dominican Republic. Some how, the Haitian government expects to receive about 400,000 people in this area. This preparation has been ongoing for over one month now when the government said that this site is subject to welcome our compatriots. 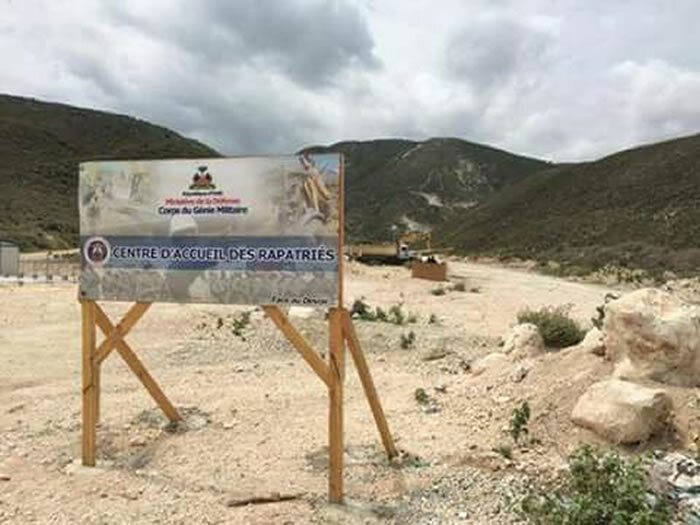 Marie Yolène Gilles, the Programme Manager of the National Network Defenses of Human Rights (RNDDH) has revealed in a statement on June 18, 2015, that no structure has yet been built and nothing concrete step has been taken on the Haitian side of Dominican border other than a poster indicating the proposed site of the shelters on a vast desert. Although since the late May, the government had confidently continued its announcement about two welcome centers for the returnees, the GAAR (Groupe d'Appui aux Rapatriés & Réfugiés) had only traced two trucks, one tractor, two generators and two guards and a placard indicating : Welcome" on the 3 project sites located in Malpasse.